the date which all non-exempt drugs must be serialized and traced through the supply chain. Setting that date was the primary purpose of the new law. Laws were already on the books in the Russian Federation that established the full requirements of the system, but the official date of full serialization and tracing was left out, until now (see “A Closer Look At Russia’s Serialization Pilot, June 2017”). Other amendments were made to the earlier law, known as the “Federal Law on the Circulation of Medicinal Products”. The previous unofficial date for full serialization and tracing was the end of 2018 so this amendment pushes that out by one year. 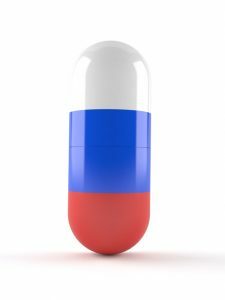 Systech monitors pharma serialization and tracing regulations around the world, including Russia, to ensure our products meet country-specific requirements. As a result, our customers are able to remain in compliance with the regulations in every market. Governments around the world are just one type of the sources of information we use to help us keep our Systech Global Serialization Regulatory Update documents up-to-date every quarter. These are the same regulatory summaries we use internally.